Used to safeguard sensitive telecommunication equipment from the surrounding environment, telecom shelters are small independent structures that house communications equipment away from the main switching center. They are designed to be resistant against all types of weather, from high heat to harsh rain, and they are built to last for years to come, even with little maintenance and upkeep. Available in various sizes and materials, these cell tower equipment shelters are important for protecting equipment and keeping telecommunications running smoothly. 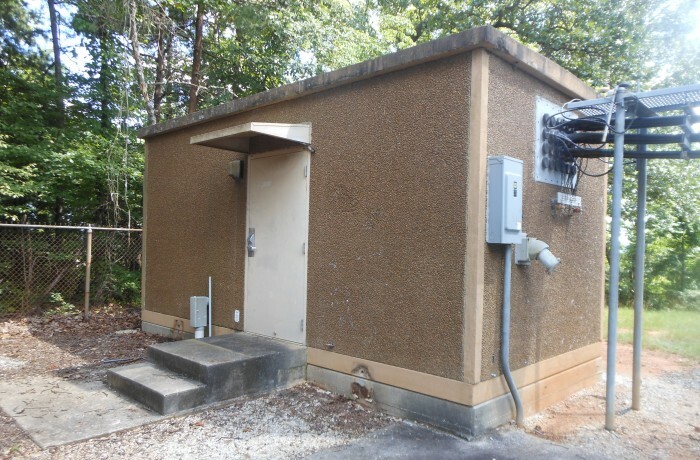 That’s why, at CellSite Solutions, we’re proud to provide a wide selection of surplus and used communication shelters — so you can find a safe, sturdy, durable structure to suit your particular application. CellSite specializes in well-built used communication shelters that are ready for any of your fiber or other telecom projects. Our secure, long-lasting telecom shelters range in size from 6 feet by 8 feet to 12 feet by 35 feet, so that they can fit any scope of project or job. Simply select the size that’s right for your project to get started. What’s more, our shelters are available in several different types, including lightweight, lightweight concrete, concrete and fiberglass, expanding your options further. Whatever your project needs, we can find you the right communications shelter. CellSite not only offers a wide range of sizes and styles of shelters but we're also proud to offer the largest selection of used communication shelters on the market. Since we’re the true source for shelters, you can come to us for previously deployed products that are able to house electrical equipment, generators or anything else your communications projects require. In addition to our large quantity of telecom shelters, our team offers shelter refurbishing services to make your used concrete shelters look like new. Even beyond the great features that our shelters offer, coming to CellSite for your power equipment building only makes sense because we’re a product provider you can trust. Backed by over 20 years of experience in the telecommunications industry, we’re specially qualified to handle all kinds of jobs, from single-site installation to multi-regional deployment. What’s more, we are committed to exceeding customer expectations on every project. Our telecommunications shelters are just one of the many high-quality telecommunications products we offer, designed with top quality, according to your deadlines and alongside superior customer service. Contact us to better manage your fiber or telecom projects. CellSite is your best resource for the highest quality in telecommunications shelters. Contact us today to learn more about our new or previously used products. We’ll be happy to spend time getting to know your situation so we can recommend the solution that best suits your needs.